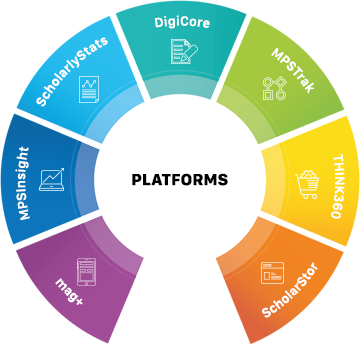 The platform segment is the fastest growing part of the MPS business. In FY18 alone, we increased this segment by 20 percent. Our platform business has grown, thanks to customers switching from other third-party providers, homegrown systems, and archaic forms of technology. The underlying value proposition of our platform business is Product Leadership, which is achieved across our Platform as a Service (PaaS) offerings through active customer groups and committees, flexible engineering, dedicated, and highly responsive support, intuitive user experience powered by domain expertise, scalable architecture, and highly secure hosted environments. We aspire to disrupt the platform market in publishing by solving inherently complex problems in a simple way through intuitive technology, and then passing the efficiencies to customers. At this stage of our evolution, we may be considered outsiders in the market, but that’s where disruption usually comes from!